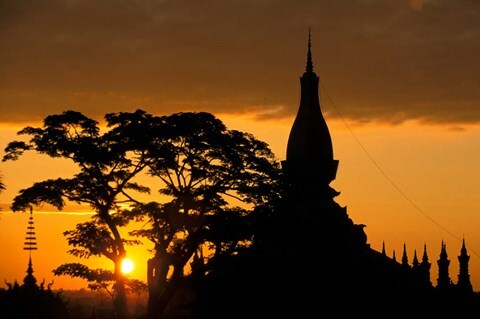 Are you wondering how many days to spend in Vientiane? 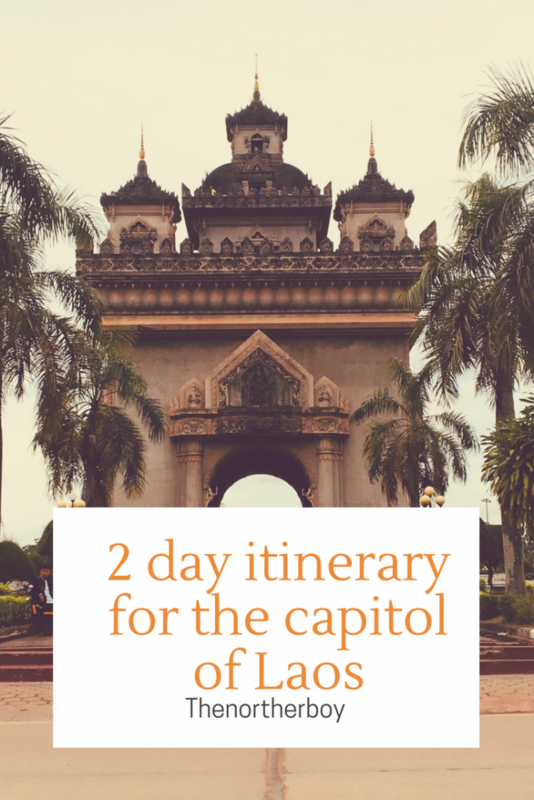 I was and I decided to spend just 2 days in the capitol of Laos. And 2 days is plenty to do all the best things to do in Vientiane. 2 days may not seem a lot but it’s more than enough to see everything. 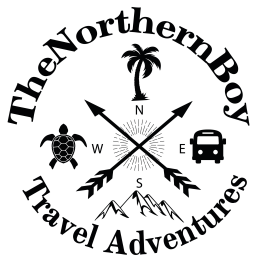 As a result, I have written this Vientiane 2 day itinerary to help answer your questions about this epic city in Laos. But is Vientiane worth a visit? In a word, yes! Not only is there great things to do in Vientiane, but there isn’t the madness I have seen in other Capitols. For example, playing dodge with scooters is not necessary like what I have previously experienced in Hanoi. 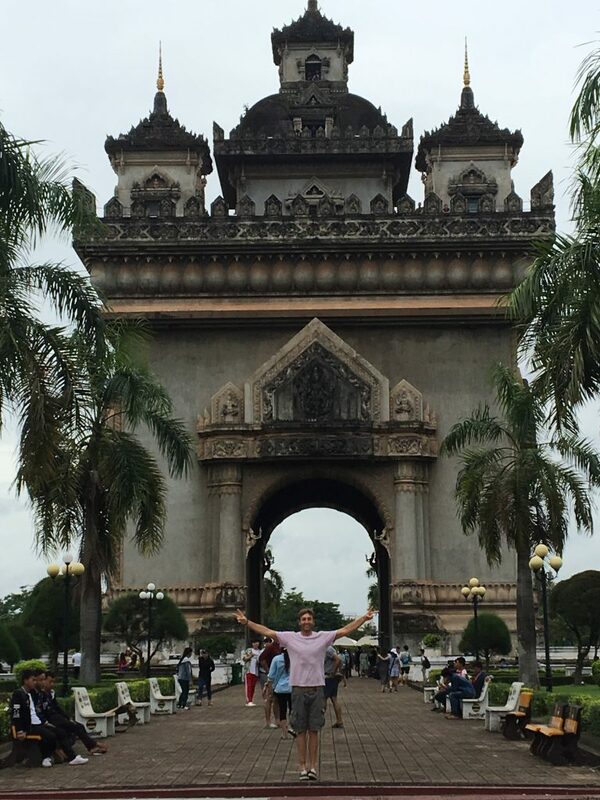 Vientiane is a lot more of a relaxed atmosphere and really is a best place to visit in Laos. Day 1 of my arrival in Vientiane. 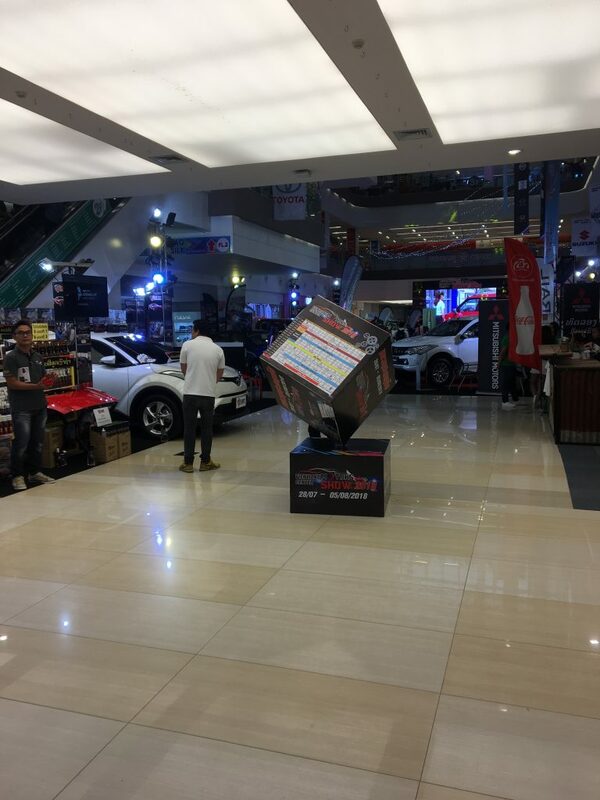 I was a little unsure as to what to expect as I arrived in Vientiane from Hanoi. So after getting a tuc tuc from the airport to our hostel in the centre of Vientiane. So after checking into our backpackers hostel in Vientiane we made our way for a visit to the sombre Cope centre. COPE (Cooperative Orthotic & Prosthetic Enterprise) is the main source of artificial limbs, walking aids and wheelchairs in Laos, to help the victims of the ongoing trouble with the bombings from the tragic war. An inspiring look into how the people of Laos are pulling together to make their country a safer and better place. With the hopes of one day catching up to the economic growth of the Western world. 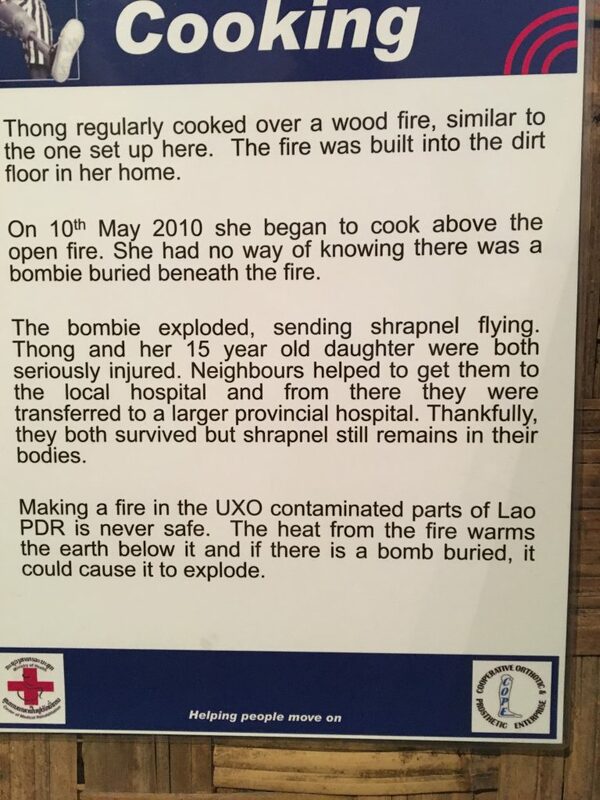 The cope visitor centre really drills home how much of an effect the bombings on Laos have had. The devastation is still ongoing as I write this. Furthermore, there are still 1000’s of live bombs scattered around Laos to this day and the most shocking thing of all, children are searching for them in the hopes to trade them for money. You will be taken on a journey through the effects of the war on Laos through the deliverance of a mini movie theatre, physical visuals and plenty of deep heart-breaking posters/books. Furthermore, your visit here will last for around 1 and half hours and then you can donate a small fee or purchase items to help the cause of the COPE centre. 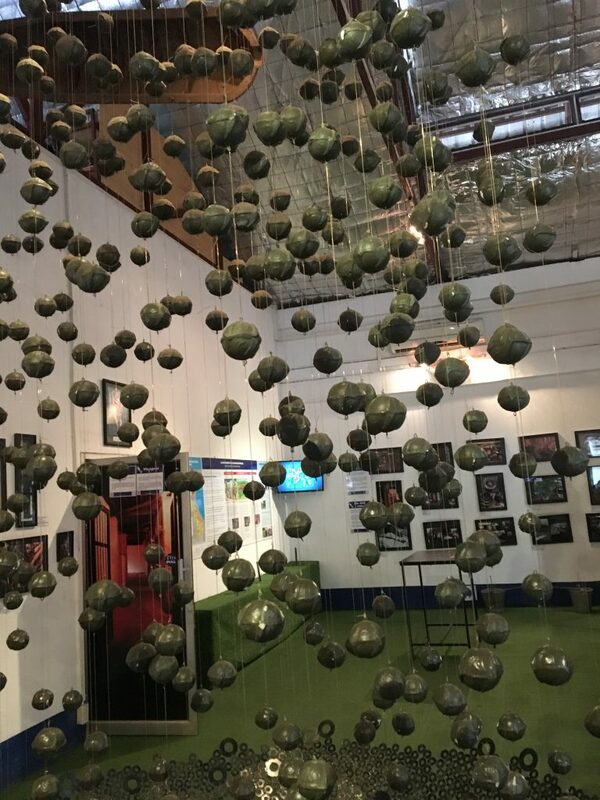 I highly recommend a visit to the COPE centre, you will get to learn a lot about the history of Laos in just a short amount of time. One of the best to do in Laos on a 2 day itinerary and it’s FREE, not bad. One of the most touristic places to visit in Laos. The Patuxai is a unique and historic style building. Furthermore, visitors can pay $0.40 to climb the inside steps to the top of the Patuxai’s architecture and here great views over Vientiane can be seen. This is the most popular thing to see in Vientiane, there’s plenty of photos on Instagram of this iconic building and there is always plenty of tourists here. The landscape around the Patuxai is very neat and presents this unique structure very well. 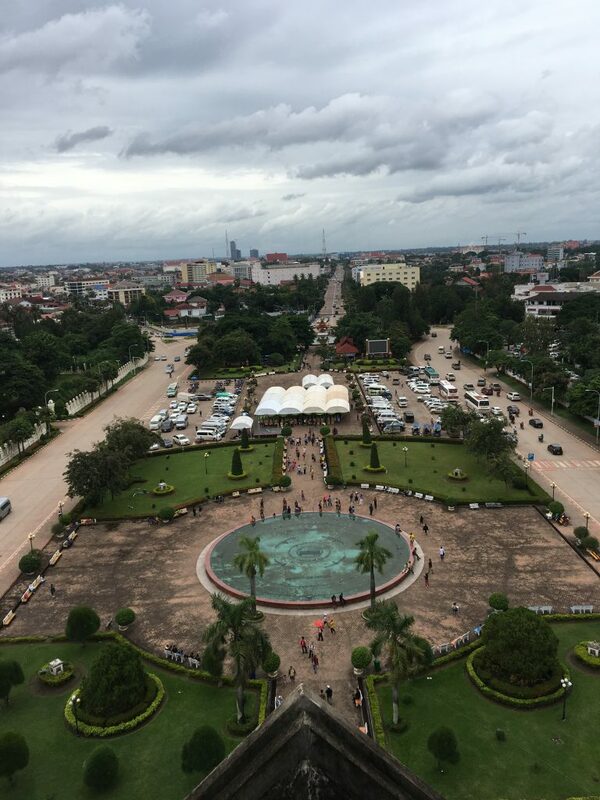 Furthermore, if you pay the small fee to climb to the top, you will be able to buy local gifts from the random market stores inside the Patuxal and also take some great photos of Vientiane from a-high. 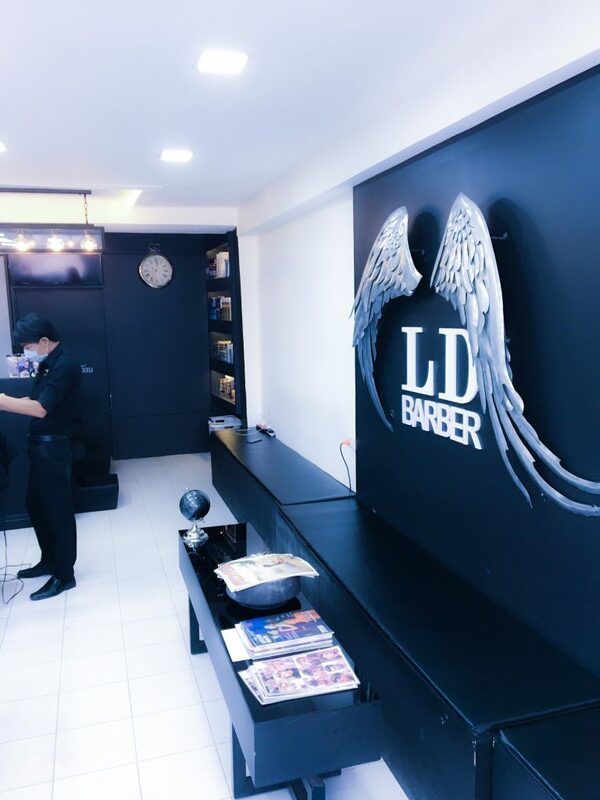 A cool London styled barbers that delivers a great trim for just $4. It’s been 7 week since I’ve had a trim and my hair has started to grow a little, I’m used to getting it cut every couple of week back home. Nevertheless, I decided to find a barbers in Vientiane and it didn’t take me long. Although, I was nervous to let loose on my hair a guy who can’t speak a word of English other than yes and No. Result, he did a good job. Sigh of relief and I left with a smile on my face. There’s also plenty of hairdressers if the girls fancy a new perm or maybe a long awaited hair-dye. This was my only full to make the most of the best things to do in Vientiane. We decided to get up at the break of dawn, I prefer to get up earlier to be honest. So the alarm is set for 6am, let’s do this! Get physical and go for a heart-raising run along Vientiane’s River Mekong, if you do this early enough you can even catch a glorious Vientiane sunrise. The hotel’s free breakfast starts at 8am, but we got up at 6am? Okay let’s get some fitness training in, yeah I still like to stay healthy while backpacking. Therefore, what better way to train than go for a run along Vientiane’s river Mekong. You won’t be the only one, you will see plenty of Vientiane locals getting their training in. Enjoy great coffee like me? Then you’ve got to get yourself to one of the super tasty places to drink in Vientiane. You can enjoy a delicious creamy style Frappe, a super strong Americano or even a Cool styled sweet green tea. I tried the green tea, it was mega. Also, I discovered a couple of the drinks shops give out FREE fruit, but obviously ask first. There is also local coffee stations on every street and you can pick up a coffee at these for around $0.80. These stations are mot popular for the locals buying iced coffee. Nevertheless, it’s worth trying one of these cheap iced coffees for the low price. 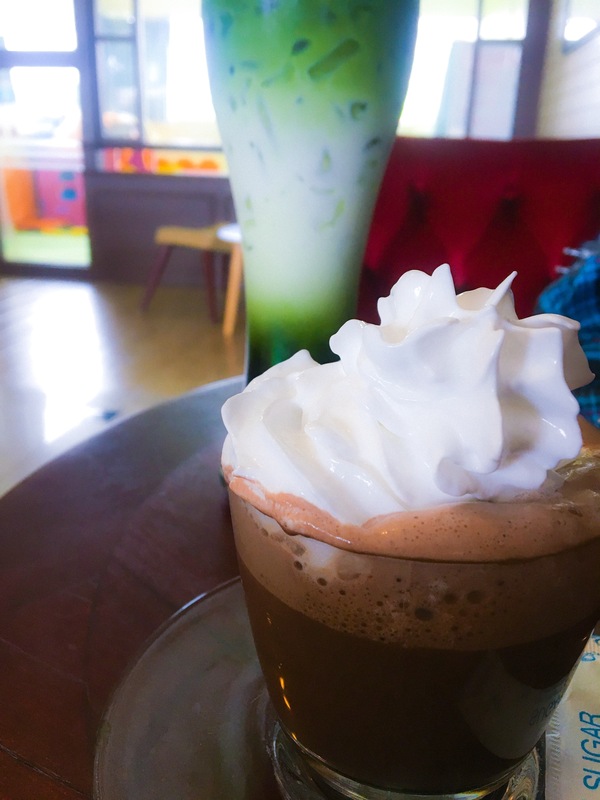 You may even prefer these over the little more expensive coffee shops in Vientiane. The food in Vientiane’s best restaurant – Tyson Kitchen is out of this world. Pizzas, burgers, chips and much more. 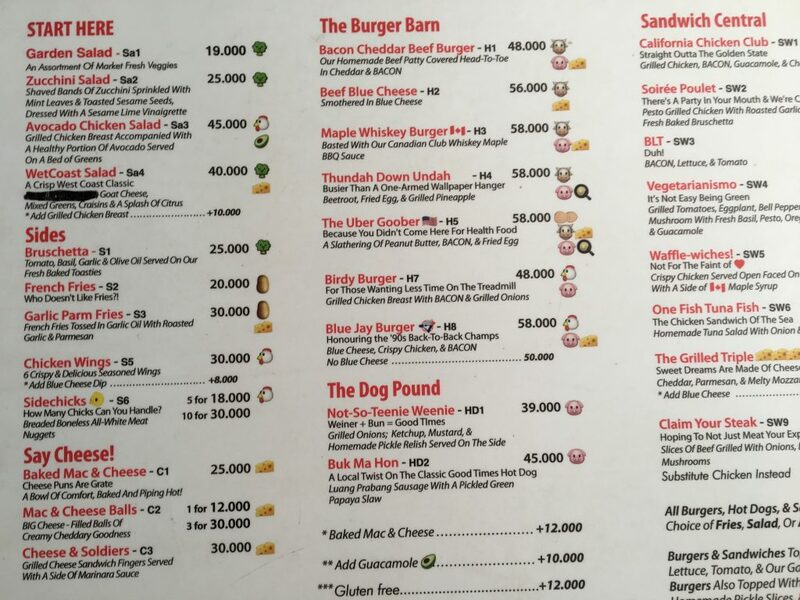 The food here is a little more expensive in comparison with local Vientiane restaurants with a pizza costing around $6. Nevertheless, it’s worth it for a treat and an unbelievable tasting treat as well. 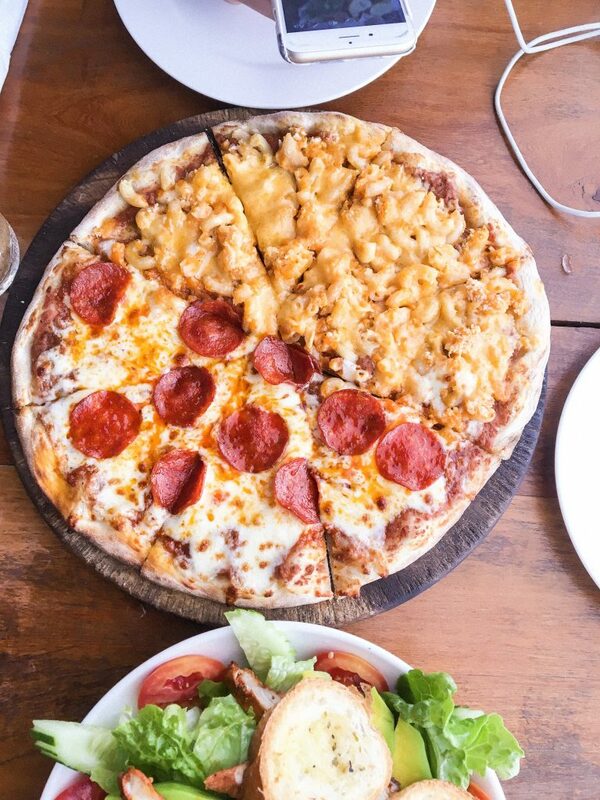 50/50 style pizzas, yes you can pick two different pizzas and make them into one. mouth-watering cheese and juicy meat. You have got to eat at Vientiane’s best place to eat. You also get free peanuts and water. On the second day we definitely found the best restaurant in Vientiane. Also, as I write this it is the best pizza we have tasted in Southeast Asia. The food is everything you need for a change from southeast Asian food everyday. I do enjoy the Southeast Asian food but sometimes you need a change and taste something a little closer to home. A strong standing statue located at the side of Vientiane’s river Mekong. We decided to walk along the river Mekong and visit the .. It’s a quite impressive icon of Vientiane and there’s plenty of little temple styled statues around it for you to explore. You can also get a great picture with the King Anouvong Statue from next to the river Mekong. A great one hour massage for $7, in a tree-house styled balcony and with chickens wandering past you. Regarded as the best place in Vientiane for a massage, I had to make a visit to this unique place. I knew the setting was no 5-star spa due to researching it on review sites. Nevertheless, I’m an open-minded person and I can dig a best thing to do in Vientiane with a good rating. When I got there a guy just said yes up there, it was an opened plan balcony with 4 single bed mattresses and it was somebody’s house. Okay this is weird. However, the none-speaking masseur gives out a mega massage. In addition, there is also changing rooms (a shed), toilets and lockers. The massage was brilliant and I would highly recommend it as a best things to do in Vientiane 2 day itinerary. 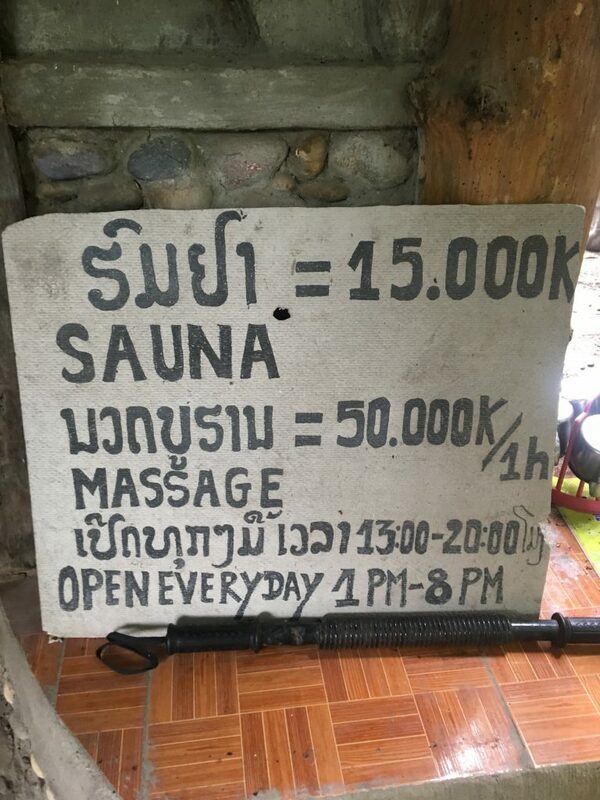 One of the only sauna rooms in Vientiane. A strange setting and a good way to relax if there’s bad weather in Vientiane. The cost of the sauna is just $2. The steam room is actually at the same place as Vientiane’s strangest massage place. We did have the massage, however I left the steam room as it was a nice day and I didn’t fancy sweating even more. Nevertheless, Vientiane’s steam room has good reviews and it’s worth a visit if your going to get a massage. For a great top thing to do in Vientiane, do both the massage and the spa together. You will come out feeling like a new person. Local fresh fruit, veg, ice, milk and a good blender to whisk up a delicious cheap smoothie on your visit to Vientiane. At just a $1 the smoothies make a mega low-cost refreshing drink on the best things to do in Vientiane 2 day itinerary. I can drink smoothies all day long, they’re are my favourite things to drink. You just can’t beat a fresh banana tasting smoothie on a hot day. Take it from a smoothie expert (I labelled myself that) the smoothie stands in Vientiane are amazing and you should take advantage of the low-costing delicious drinks of heaven. I’m getting an urge to go and get one writing this. This is the most surreal thing to do on Vientiane. A truly extraordinary experience to mediate with a group of monks and also be able to question them on their beliefs or any questions you may have about life. Visiting the monks was the number one thing on my list of things to do in Vientiane and if I had put these in order of best. This would be number one on the best things to do in Vientiane 2 day itinerary. I got the an hour early due to the 3pm start time I found online being wrong, it actually started at 4pm. However, it turned out a good thing as one of the monks turned up early. I got to question him for a full hour without anyone else being there. 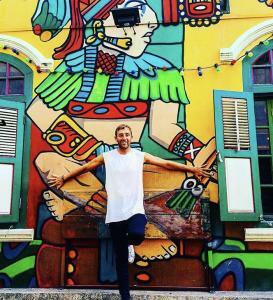 We spoke about his beliefs and we spoke a little about life in my home country – England. When the session started a group of us, including 5 Vientiane monks mediated for 45 minutes. It was very surreal and brilliant. We mediated to concentrate on the moment and not the past or the future. However, this is more difficult than it sounds to try and shut your mind off. I learned a lot from the monks and took a lot away about their views on life. 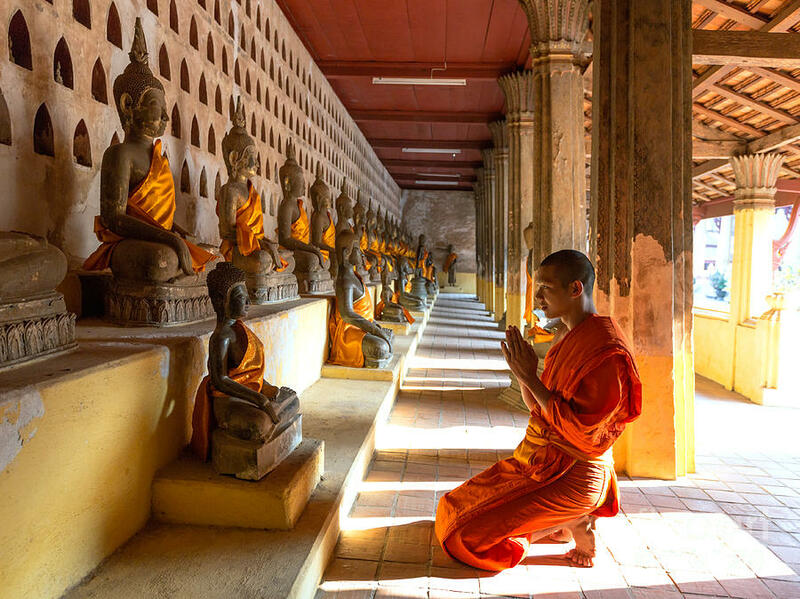 As a result, I highly recommend visiting the monks of Vientiane, it really is a top thing to do and who knows you may even start to take a little mediation up. Stepping out of a Vientiane local street into Vientiane’s Talat Soa morning market and shopping centre is like stepping from a jungle into America’s Wall Street. You go from a poor street to looking at brand new cars and crisp expensive shirts. Nevertheless, it’s worth a visit to see how Laos’s capitol delivers fine shopping in comparison to what you are used to back home. The day was filled with rain on my visit to the shopping centre in Vientiane, so I was making a visit to it whether I wanted to or not as the rain started to hammer it down. Furthermore, I was glad as there was free drinks being handed out and also the food court on level 3 has cheap tasty meal. You can pick a meal up for $2. There isn’t lots of shops, just clothes, electrical and random item shops. Nevertheless, Vientiane’s best shopping centre is definitely worth a visit for an hour or two. Located alongside the river Mekong. The night market in Vientiane is a narrow, two rows stretch of market stalls filled with items such us Clothing, watches and plenty of other useful electrical items. 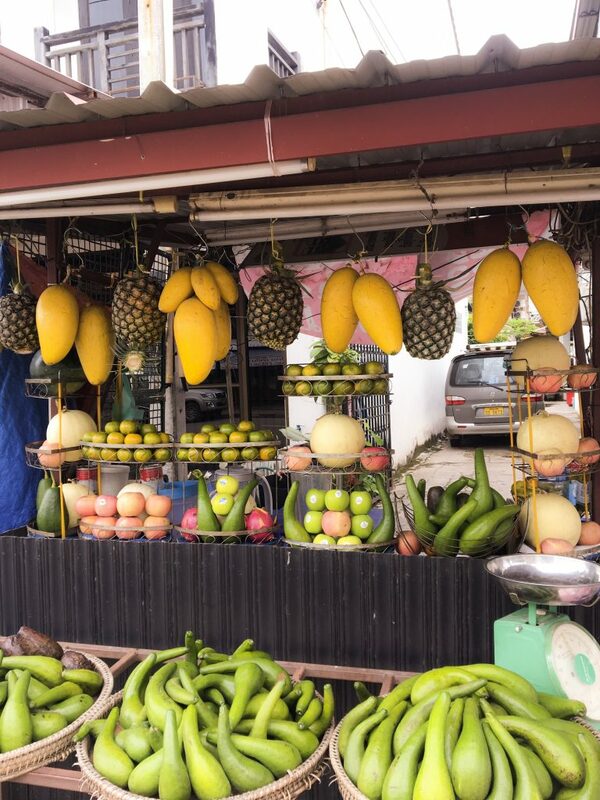 Visiting local markets is one of my favourite things to do in Southeast Asia, there’s just something about the local goods that I want to explore. With the Vientiane night market you will get the chance to buy copied goods but of great quality. For example, you can pick up a pair of Nike trainers for $8 (crazy cheap), they look and feel the same as the real thing. What you should know about the night market in Vientiane – You probably guessed from the name “night market” that they start at night. You’re right they start around 6:30pm and can go on till around 10pm. The prices on all the items ARE NOT what you should pay! The culture of the Vientiane night market is BARTERING, the locals expect it and it would be rude not too 🙂 you can get the prices of items to be halved sometimes, enjoy. Best things to do in Vientiane 2 day itinerary wrapped up. 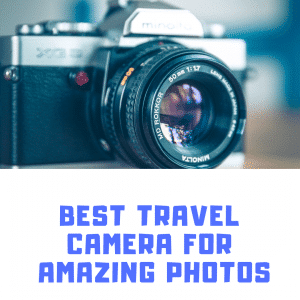 Laos’s capital is a great place the visit and I hope this post has answered your questions what are the best things to do in Vientiane? or how long do I need to spend in Vientiane? A 2 day trip to Vientiane is just right. I wouldn’t plan on spending any longer in the capitol of Laos. After visiting here, I would highly recommend visiting Luang Prabang or Vang Vieng. There is plenty to see and do in the top places to visit in Laos.